With three days left in 2013, there are “Best Of” lists galore. The New York Times has already written up its 100 Notable Books of 2013 list, and it is a good list to go by. Each December, I skim it to determine which books I’ll read the following year — hopefully. But every year, I like to put together my own list. I haven’t read as many books this year as I usually do, but I’ve made it a point to read a few that I’ve been wanting to read for years. That said, this is my annual list of my top picks from 2013. Mind you, these are not all books that came out this year. In fact, most of them didn’t come out this year. This is a selection of the best books I’ve read this year. The publication and release dates are irrelevant to me. For instance, my favorite book last year was The Imperfectionists by Tom Rachman, which was actually published in 2010. The year before that, my favorite was The Age of Innocence by Edith Wharton. A good book is a good book, no matter the year. 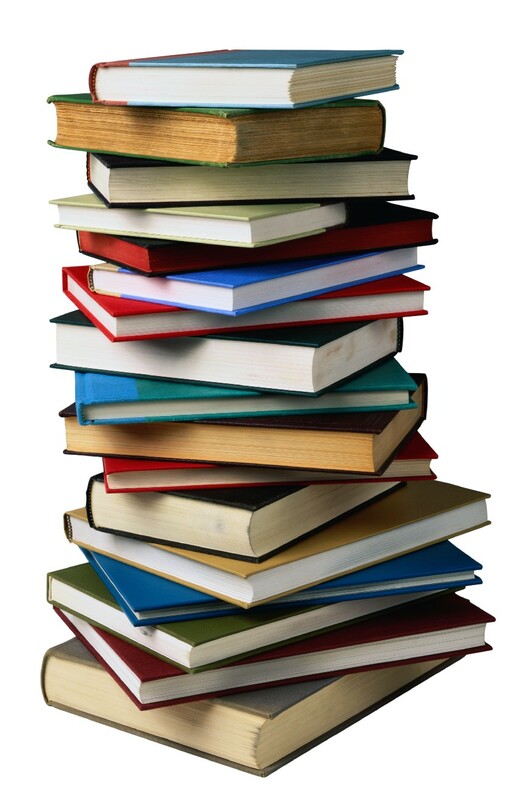 So enjoy my list, and read on for a complete list of all the books I’ve read in 2013! 10. Sisterhood Everlasting by Ann Brashares. The final book in The Sisterhood of the Traveling Pants series, Sisterhood Everlasting is an honest look at modern-day female friendship — how easy it is to drift apart and how wonderful it can be when friends reunite. It takes tragedy to bring these best friends together again, but isn’t that often — yet sadly — how friendships reignite? Buy it now. 9. 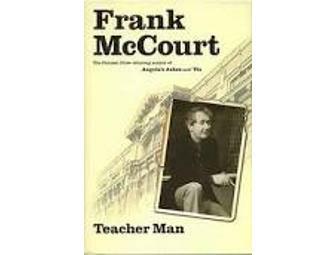 Teacher Man by Frank McCourt. Bestselling memoirist Frank McCourt takes us through his journey as a teacher, the profession he pursued for 30 years before writing about his life. His memoir is full of anecdotes and writing lessons from the classroom, but more importantly lessons about life, love, and the people you meet along the way. Buy it now. 8. The House Girl by Tara Conklin. The lives of two women from two very different times intersect when a lawyer working on a class-action suit about slavery begins to research a slave from the 1800’s. In learning about the lawyer, we also learn about a slave named Josephine, and her quest for freedom. The hunt for Josephine’s possible descendents leaves the reader wondering if either woman ever win her uphill battle. Buy it now. 7. The Cuckoo’s Calling by Robert Gailbraith (J.K. Rowling). This bestselling novel made the news when it was revealed that the author, Robert Gailbraith, was actually a pseudonym for the bestselling author of the Harry Potter series J.K. Rowling. But her crime/mystery novel, The Cuckoo’s Calling, is a great read in its own right. The page-turning story about the mysterious death of a model makes a social statement about our fame-obsessed society. Buy it now. 6. Where’d You Go, Bernadette? by Maria Semple. A little girl sets out to find her crazy mother Bernadette in this scatterbrained dark comedy. The story is told out of order, and along the way, we learn more and more about each character. In the end, finding Bernadette isn’t the best part of the book. Searching for her and learning about her is way more fun. Buy it now. 5. Inferno by Dan Brown. Bestselling author Dan Brown has done it again. The latest Robert Langdon adventure (Angels and Demons, The Da Vinci Code, The Lost Symbol) takes us through Florence and Venice as Langdon works to solve yet another world-saving puzzle. But Brown’s Inferno begins with Langdon already in Florence, suffering from a gun shot wound and two days worth of amnesia. Langdon now must solve two puzzles — the one he’s been given and the one within his own mind. Buy it now. 4. The Perks of Being a Wallflower by Stephen Chbosky. This coming-of-age novel about a lost soul in the ninth grade is a modern-day Catcher in the Rye. The book is full of letters that the coy, yet observant Charlie is writing to an unknown friend about his freshman year. Charlie must learn to deal with his first love, new friends, lost friends, best friends, family, drugs, and alcohol, all while keeping a dark secret. Buy it now. 3. Beautiful Ruins by Jess Walter. An Italian man seeks out a Hollywood producer in order to find his long-lost love from 1962 — an actress with a dark past. But the two men dislike each other, and neither knows whatever happened to Dee Moray. However, the reader does. 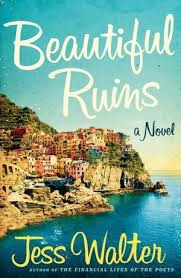 Beautiful Ruins is a smart, truly lovely book that flips back and forth between different characters and different decades, ultimately proving true love exists. Buy it now. 2. Ready Player One by Ernest Cline. Whether or not you’re a fan of video games or the 80’s, you can’t help but enjoy this fantastically fun bestselling novel about a boy who plays a life-consuming video game in order to win a fortune. Charlie and the Chocolate Factory meets 1984, this coming-of-age quest story says a lot about our technology-consumed world, while including as many pop culture references as you can imagine. Buy it now. 1. Maine by Courtney J. Sullivan. I read this book a few months ago, but my heart still feels a pang whenever I think about it. Maine tells a beautiful, deep story of four generations of relatives, all women forced to spend a few weeks together in their family summer home in Maine. Between the secrets and complicated female relationships forced together by blood and obligation, there is love. It just takes some time to find it. Buy it now. 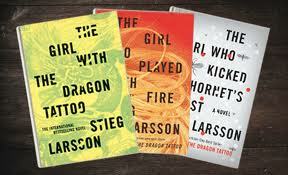 For those of you who love Mikael Blomqvist and Lisbeth Salander, you’re in luck. A fourth novel in The Girl With the Dragon Tattoo (or Millenium) series is on the way. According to Variety, the Swedish publisher of the books has hired an author to write another book in the series. Stieg Larsson, the original author, died in 2004. Larsson had begun to write the next book in the series before he died, but publishers say this fourth book will not include anything from that unfinished draft. Publishers say author David Lagercrantz has signed on to write the next novel, which is expected to be released in August 2015. Recap: It’s 1962. Innkeeper Pasquale is hoping for an American guest to boost business at his small hotel in a small coastal port in Italy. As luck may have it, in walks Dee Moray — not only an American, but an American actress who’s visiting Italy to shoot Cleopatra with Elizabeth Taylor and Richard Burton. Dee is dying and comes to the hotel alone. Pasquale begins to care for her and leaves the inn for Rome, to get someone from the movie set to come and help her. There, he runs into his ex and their illegitimate child. Flash forward to present day in Hollywood. Washed-up movie producer Michael Deane is looking for his next big hit. He’s not interested in quality film or television. He’s interested in dollar signs. And his young, hopeful assistant Claire is debating whether or not to quit her job for something more substantial. But everything changes when Pasquale shows up at Michael Deane’s office. Dee Moray is the stunning and talented beauty who connects these two men, then and now. But no one knows where she is, or what happened to her. Suddenly, the men who crossed each other’s paths some 50 years ago are working together to right their wrongs. Analysis: Spanning several decades, going back and forth between storylines, characters, and time periods, Beautiful Ruins keeps the story of Pasquale, Dee, and Michael moving in an inventive, page-turning way. Based on the exposition, I knew how I wanted the book to end from the start. It didn’t end the way I wanted or expected it to. But as it turns out, the ultimate resolution proved to be the right and better ending after all. The title Beautiful Ruins explains everything one needs to know about this book. On the surface, the title describes the port where Pasquale, Dee, and Michael Deane meet in 1962. “Beautiful” also describes the way the book is written. But “Beautiful Ruins” is a metaphor for every character in the novel. Pasquale, Dee, and Michael were all beautiful in 1962. But 50 years later, they are older, damaged by the things they’ve gone through, the pain they’ve dealt with. They have become “ruins” in their own right. But together, they work to prove that it’s never too late to find the beauty again, even after you think you’ve lost it. MVP: Pasqale. It’s Dee that brings everyone together in 1962. But it’s Pasquale who brings everyone together 50 years later. An extraordinary man who’s lead an ordinary life because he made the “right” choices, Pasquale is beautiful inside and out, and deserves the happiness he has sacrificed for so long. Get Beautiful Ruins in paperback for $9.15. 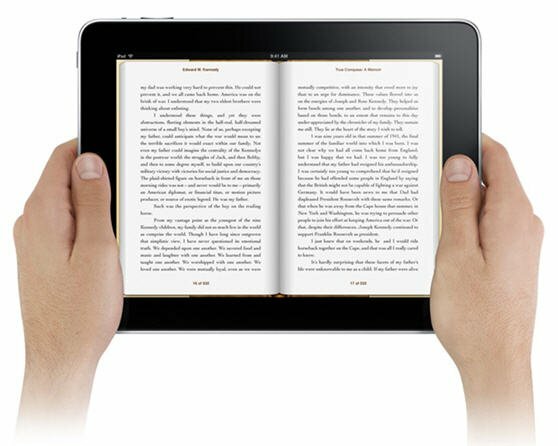 Or on your Kindle for just $5.99! No, Yankee Captain Derek Jeter has not announced his retirement. In fact, he’s signed on to play another year for his beloved Yankees. But he is adding a new title to his name: book publisher. But Jeter said that in recent months, he had let his mind wander to the next phase of his career. An impetus was the injuries, which forced him to rest. Jeter Publishing has been in the works for about a year now. 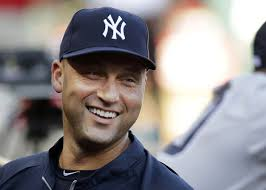 The first of Jeter Publishing’s books are expected to be released in 2014. Recap: What happens when you teach high school English and creative writing for thirty years and then write a bestselling memoir? Well, then you write another memoir — a book about your life as a teacher. At least that’s what Frank McCourt did. Best known for his award-winning memoir Angela’s Ashes and Tis, Frank McCourt set out to write another memoir about his teaching days in Teacher Man. McCourt was born in America, but spent much of his childhood in Ireland. He then moved back to the States, where he was drafted to serve in the Korean War. But upon his return from the war, he went to New York University to study English, and so begins his professional journey. He spent the next thirty years hopping from high school to high school in New York City, teaching English, English as a Second Language, and Creative Writing to some of the city’s least well-off and least motivated teens and to some of the most well-off and most motivated, like those at Stuyvesant High School. His failed marriage and failed degree prove that he has problems like everyone else. McCourt admits through his writing that he’s no hero. In fact, he finds himself surprised to learn that he’s had such an impact on some of his students’ lives. But he does. In Teacher Man, McCourt shares the stories of his teachings to these students, the relationship he had with them, and the bond between a teacher and his class. He teaching methods are not necessarily the most logical, like the time he took a class of predominantly African-American females to a production of Hamlet. They’re also not the most well-received by his bosses, like the time he turned his students’ forged excuse notes into a writing assignment. But it’s the thank yous from those students later on that make his time in the classroom worth it. He recognizes that later in life, his former students will likely forget his name, but hopes they won’t forget his role in their lives. Analysis: Frank McCourt’s straightforward and honest writing style help the memoir flow easily from anecdote to anecdote, teaching lesson to teaching lesson. McCourt may not know it — or maybe he absolutely does — but in the same way he’s teaching his students, he’s also teaching his readers; not about English or Creative Writing, but about life, about the relationships we have with people, about the importance of profession versus your family and friends. McCourt’s professional life story helps put things in perspective in a way only a “Teacher Man” could. Get Teacher Man: A Memoir in paperback for $12.02. Or get it on your Kindle for $10.38.